The Balvenie 40 years old / 48,5% – Balvenie 40 years old was launched in 2010 and is the distillery oldest regularly released bottling. To create Batch One (only 150 bottles) the Balvenie Malt Master, David Stewart, has skillfully married together small amounts of The Balvenie matured in 4 refill hogsheads and 3 sherry butts that have lain in warehouses for at least forty years. Each new batch (year 2015 welcomed Batch 7) is created as the previous one runs low and is focused around a careful blend of old sherry and bourbon casks. 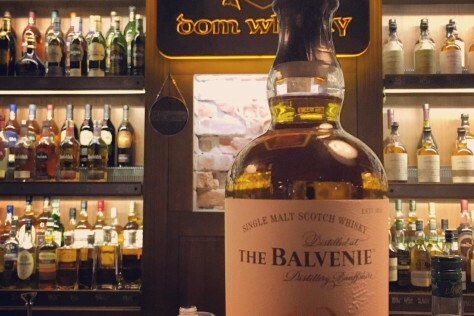 Different cask types impart different qualities, bringing together a perfect harmony of fruit, spice, sweetness, citrus and oak to create a Balvenie of the very highest order. According to the distillery statement ‘Silky texture delivers a beautifully mouth-coating sweetness and a spicy sensation of cloves, cinnamon and ginger. The flavor develops into a gentle oakiness with hints of dark chocolate, roasted almonds and sherried fruitiness’.